Metabolism describes all of the chemical reactions involved in sustaining the life of an organism. This is the process by which humans and other organisms convert food into energy. Heat is both a byproduct of metabolism and a form of energy that influences the speed at which metabolism occurs, otherwise known as metabolic rate. Metabolism is the process by which food converts in to energy. Heat is emitted from organisms as a byproduct of this process. Since ectothermic animals cannot regulate their own body temperatures, their metabolism is affected by the external temperature. Metabolism has two metabolic pathways. The first is the catabolic pathway, which breaks down complex compounds, such as glucose and proteins, into simple compounds. 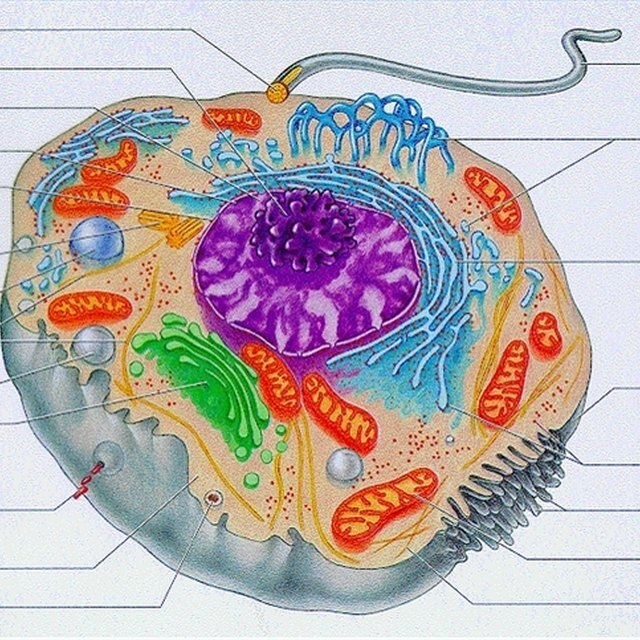 This makes energy available for the working of the cell. The second pathway is the anabolic pathway, which builds complex compounds needed by the body, such as protein for muscle, from these simple compounds. Because chemical reactions are unpredictable -- they may not produce the right compounds, or the required amount -- cells need enzymes to regulate metabolic activity. Enzymes bring the right chemicals together and speed up chemical reactions. Enzymes are therefore catalysts of chemical reactions. Only a small amount of the energy obtained from food becomes energy that powers cells. The rest is lost as heat, which is a byproduct of chemical reactions. This heat escapes the bodies of humans and other organisms and is what causes a room full of people to get uncomfortably hot. Heat generated by metabolism plays an important role in keeping the bodies of endothermic animals warm. Endotherms, primarily birds and mammals, are animals that are able to regulate their own body temperature using the energy generated by metabolism. The cells of any given organism contain many different types of enzymes, each of which is responsible for a particular chemical reaction. All of these enzymes require a similar range of temperature in order to function. The relationship between the rate of metabolism and temperature can be visualized as a hump-shaped curve. Enzyme activity, and therefore metabolism, is slow at the lower and upper ends of a given temperature range, and highest at some optimum point. The optimum temperature for the typical human enzyme is 37 degrees Celsius (98.6 degrees Fahrenheit). The human body therefore maintains a temperature of about 37 degrees Celsius to maximize metabolic rate. Enzyme activity drops sharply at temperatures above 98.6 degrees, and at high temperatures enzymes “denature,” meaning that they lose their structure and become useless. Temperature in the surrounding environment directly affects the metabolic rate of ectothermic animals, animals that are unable to regulate their own body temperature. 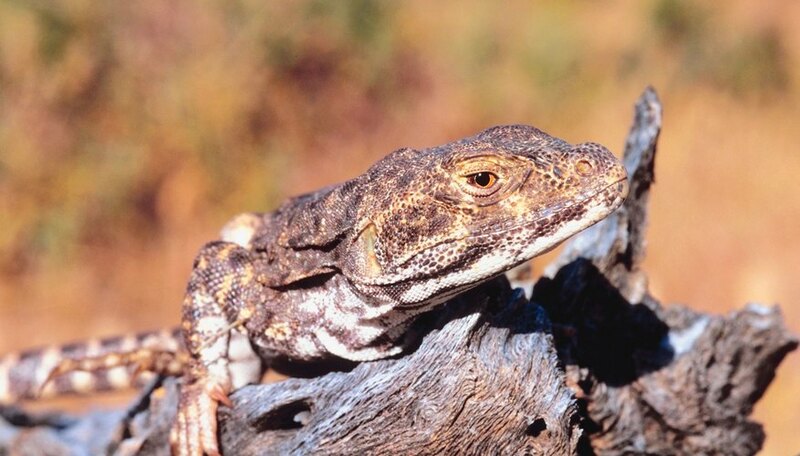 For instance, the metabolic rate of lizards is low at cold temperatures and a high at hot temperatures. This means that lizards can’t be very active in the cold because they have no energy to do so, while at high temperatures they can move fast but must consume food to fuel the metabolic process. Scientists believe that heat raises the metabolic rate of animals by increasing the amount of kinetic energy that is available to cells. Kinetic energy is the energy associated with moving objects. Heat increases kinetic energy in cells by speeding up the molecules involved in chemical reactions, bringing them together more often. For endothermic animals, the act of regulating body temperature increases metabolic rate. The actions needed to cool down, for example panting, or warm up, for example shivering, require energy and thus faster metabolism of food. Wiley Online: Why Does Metabolism Scale With Temperature? Campbell, Kirsten. "How Does Temperature Affect Metabolism?" Sciencing, https://sciencing.com/temperature-affect-metabolism-22581.html. 10 April 2018.